Explosives are abound, literally and figuratively, with this upcoming episode. Anytime I hear best laid schemes, I always think something will go awry. In the Outlander world, nothing e-v-e-r goes according to plans. 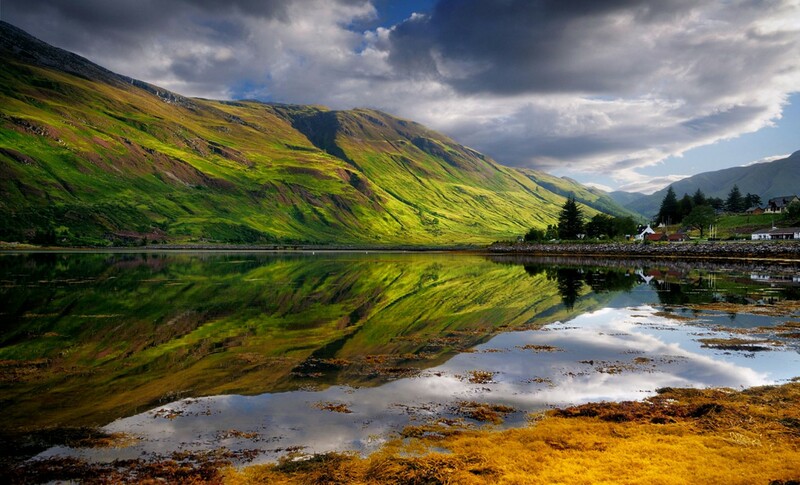 Jamie and Claire use her medical knowledge to come up with a scheme to stop a deal which could fill the war chest; but Claire learns Jamie has reneged on his word, and that leads to problems for both of them. First part: Jamie and Claire use her medical knowledge to come up with a scheme to stop a deal which could fill the war chest. 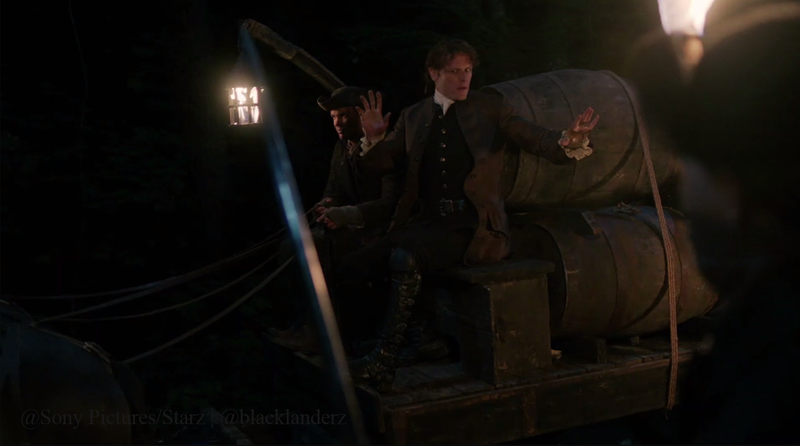 The main focus of this episode is Jamie and Claire’s scheme against Comte St. Germain and the Prince to sabotage the Comte’s wine shipment – again. But, we all know something is going to go wrong from the preview video. And when it does, Le Comte will be beyond pissed, totally ballistic! Now, who’s shooting whom here? That masked man looks familiar – Les Disciples du Mal? 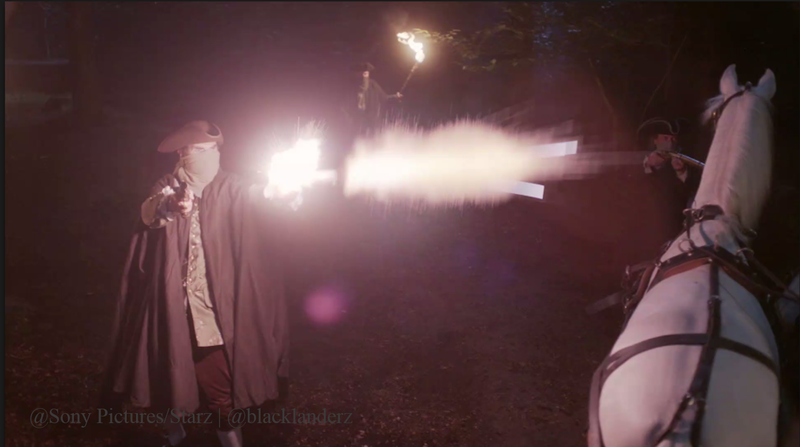 We will have more Comte and his piercing stares; but, who is he pointing that gun at? 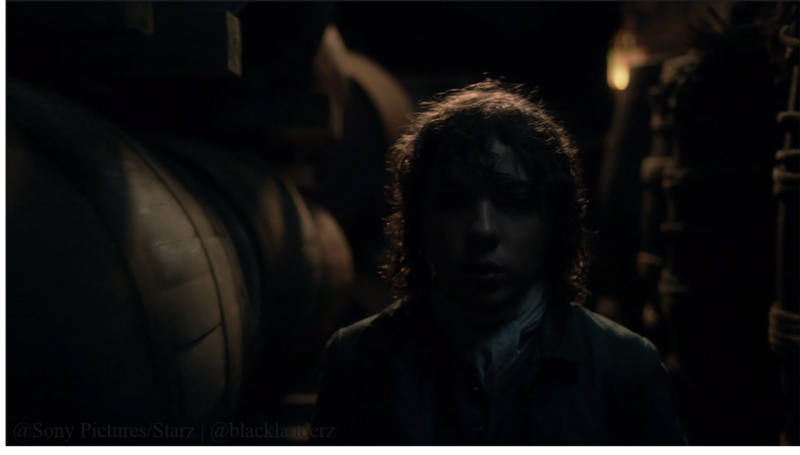 They even have wee Fergus in on the plans. We also get to see Murtagh in silk and Mz. Suzette dressing her man. Cute! 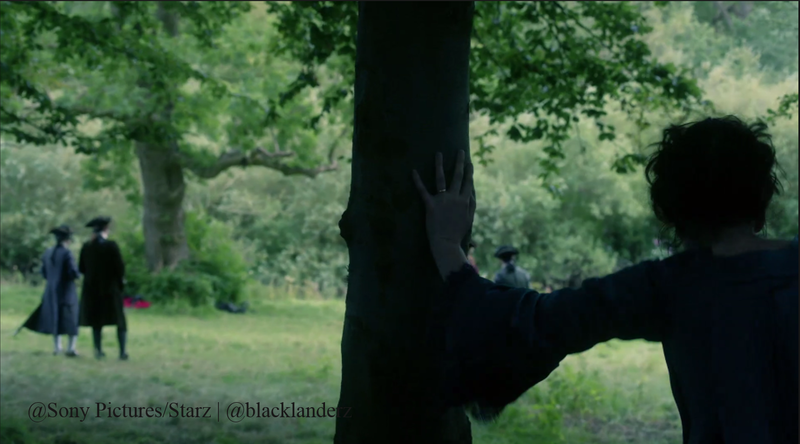 And the second part: Claire learns Jamie has reneged on his word, and that leads to problems for both of them. 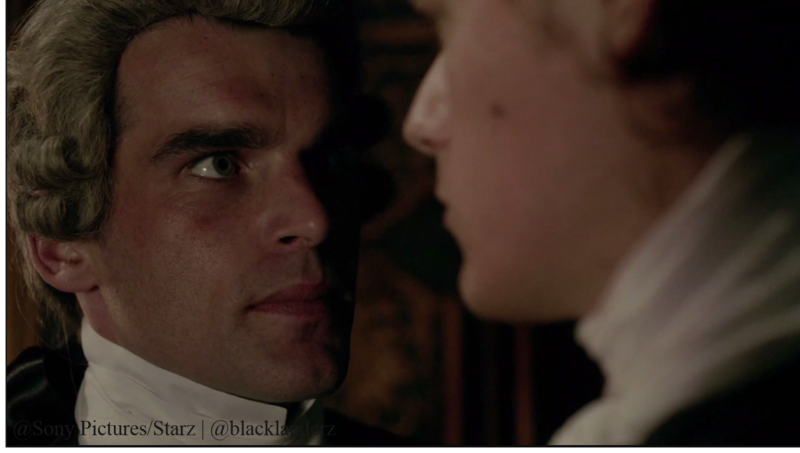 The last episode ended in a tense face-off between Jamie and Claire with Jamie promising to wait a year before he duels with Black Jack. 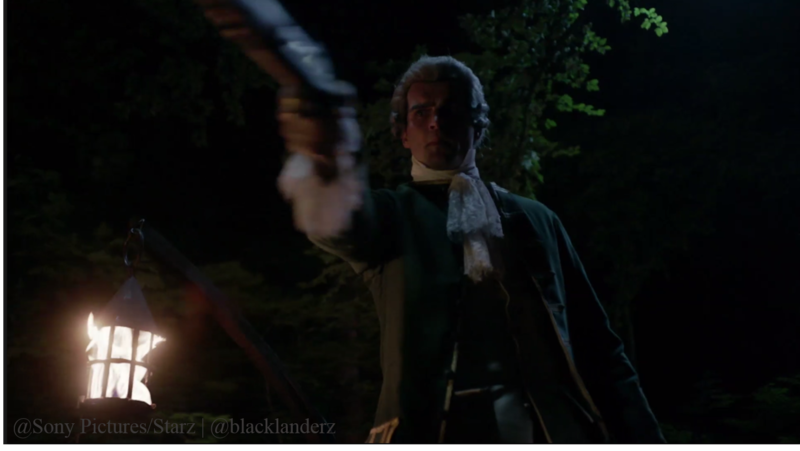 So that has to be what happens in this episode; Jamie reneges on his promise. 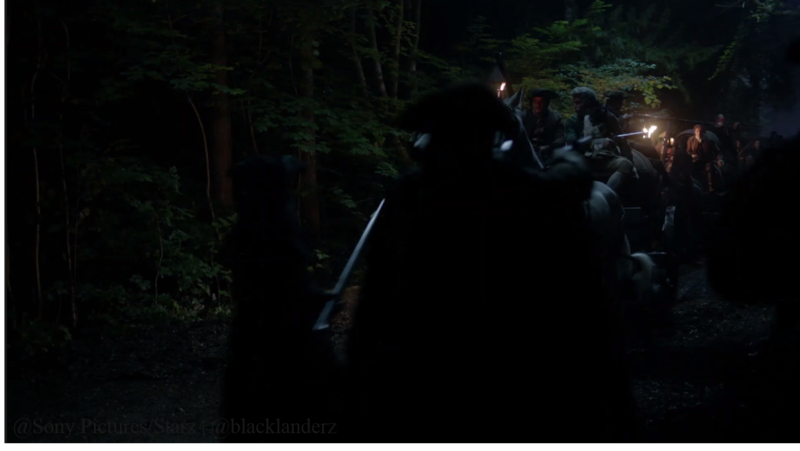 We all know Jamie is a man of honor. Something major had to happen for him to change his mind and go back on his word. Yes, we know what it is – no spoilers. These episodes become more intense by the week. And this one, well . . . all I can say is stock up on Kleenex and alcohol – double/triple the amount of alcohol. Tell us what you are looking forward to seeing in this next episode?